Episode 2 - Cleaning Pens with Fire! With our first guest, Anabelle Hiller, we talk about becoming a nibmeister, pen cleaning, J. Herbin inks and much more! Also, we have a Slack channel for the Fountain Pen Companion. To join, just send us an email requesting an invitation. Follow us on Instagram, Twitter, and Facebook. 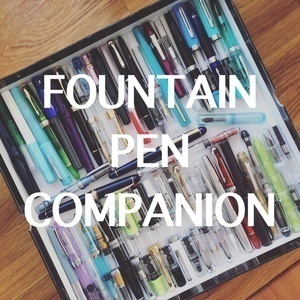 You can email us at podcast@fountainpencompanion.com .